This brand new necklace is a 16 inch chain link necklace with an additional 2 inch extension chain and a spring ring closure. 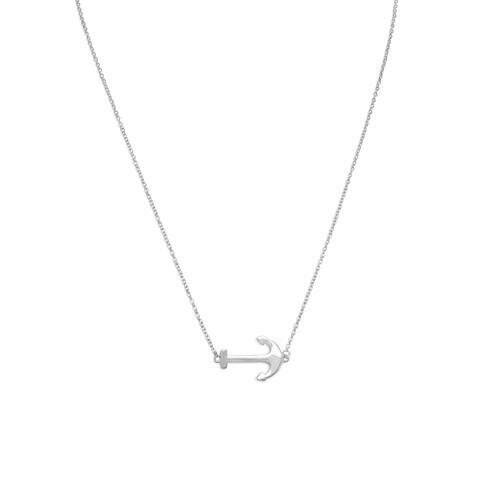 It features a genuine .925 sterling silver sideways anchor pendant measuring approximately 8 millimeters by 16 millimeters. Great daily wear necklace yet classy enough to be worn with formal attire!